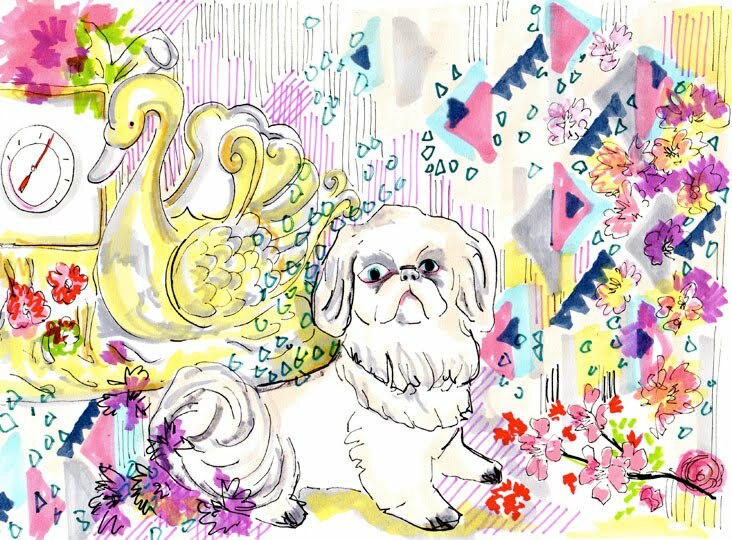 May 20, 2013 in "Dog Illustration", "countryside canine", "dog in flowers", "dog portrait", "pattern"
After a lovely weekend an equally lovely start to the week. Getting work done, sorting stuff, meeting up with a friend, and being told some very nice things. Now for a few hours to relax before bed. This Countryside Canine, is dreaming of pastures new.